Are you in Sweden, hungry and looking for a great American barbecue but don’t have time to cross the pond? 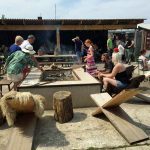 Then you should visit Holy Smoke BBQ in Scania, the south of Sweden. 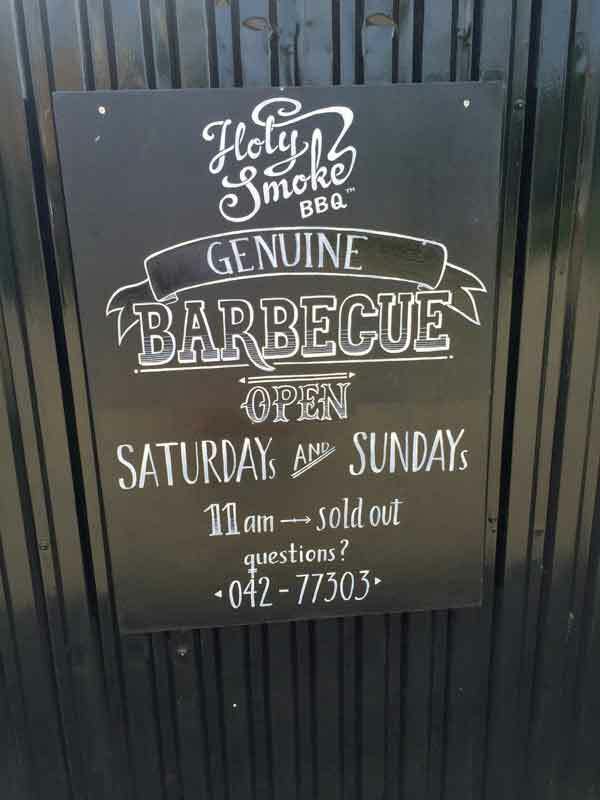 What is Holy Smoke BBQ? Some would call it a restaurant but they label themselves as a “shack” which is a suitable description. 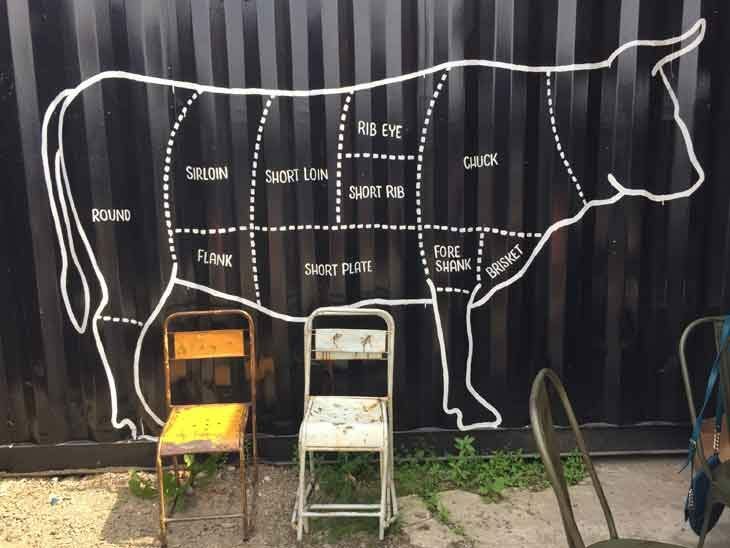 The concept is as simple as it is brilliant: a huge Myron Mixon Smoker, some benches and tables, nice people, cold drinks and high quality meats. The shack from another angle. Picture from their Facebook. You will not find a massive wine list but to my surprise I found both IPAs and APAs among the beers on sale together with organic ice-tea and Mexican Sodas. 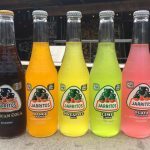 I never tried the sodas but overheard one gentleman who stated “this tastes just like regular soda but without the funny ingredients”. 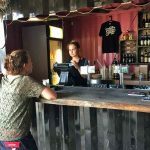 The shack opens at 11AM on Saturdays and Sundays and stays open until they are out of food or at the latest 5PM. Place your order at the bar at Holy Smoke. The Holy Smoke Shack in Nyhamnsläge, Sweden. Menu at Holy Smoke BBQ in Nyhamnsläge, Sweden. If you get hooked and would like to purchase your own Myron Mixon Smoker, speak to the staff since Holy Smoke are general sales agents for Myron Mixon in Sweden. 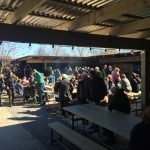 Where to Find Holy Smoke BBQ? It is in the middle of nowhere, on the scenic north-western tip of Scania (or Skåne as it is called in Swedish). Driving time is roughly 35 min from Helsingborg and 1h 15 min from Malmö. My GPS navigated easily to Krapperups Kyrkoväg 116 in Nyhamnsläge and it is easy to find on both Bing and Google Maps. 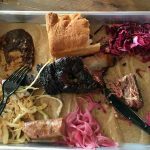 Experience at Holy Smoke BBQ. 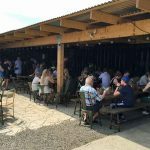 The meat was cooked to perfection, the drinks were cold and the staff was smiling with a “can-do” attitude. This might sound like a typical guy’s hangout but I went with my mom (age 75) and my wife (who is generally not a big meat eater) and both loved it just as much as I did. You will find everything from hungover bachelors, bikers, seniors and families with children. A great mix and everyone are equally welcome. Everyone are welcome to roast their marshallows at Holy Smoke BBQ. Relax at Holy Smoke BBQ . In the middle of everything there is a fire place, marshmallows and sticks where you and the kids can enjoy roasted marshmallows. 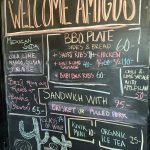 The only thing I can comment negatively on is that the menu board was a little confusing when I visited but that might reveal more about my capacity than Holy Smoke´s. I checked their page on Facebook and found a picture of a menu board that is crystal clear. In short, you buy a basic plate with coleslaw, pickled onions, bread and barbecue sauce for 60SEK (less than 10USD) and then add the meats of your choice. 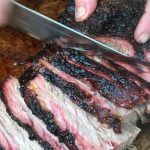 Short ribs are tender and can easily be cut with a dull plastic knife! You know your meat is tender if you can cut a short rib with a plastic knife. Photo taken from Holy Smokes page on Facebook. The pictures in this article are not at its best and really does not do the place justice. It is better in reality. Create a playlist with some John Mellencamp, Stevie Ray Vaughn, Emmylou Harris and John Hiatt, leave your vegetarian friends behind and jump in the car! You will love it and want to return. At least I will do so. 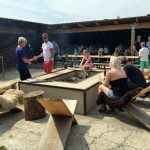 If you are visiting this area, you might want to check out 5 things to do around Båstad. If you need a good night’s sleep and there are lots of options. One great and special place to stay overnight is Falknästet. Holy Smoke hours and phone number. More information on Holy Smoke´s homepage. Do you have anything to add about Holy Smoke or American Barbecue? I would love to hear from you via email, in the comments below, on Twitter, Facebook or Google+. How To Be a Good Airline Passenger.